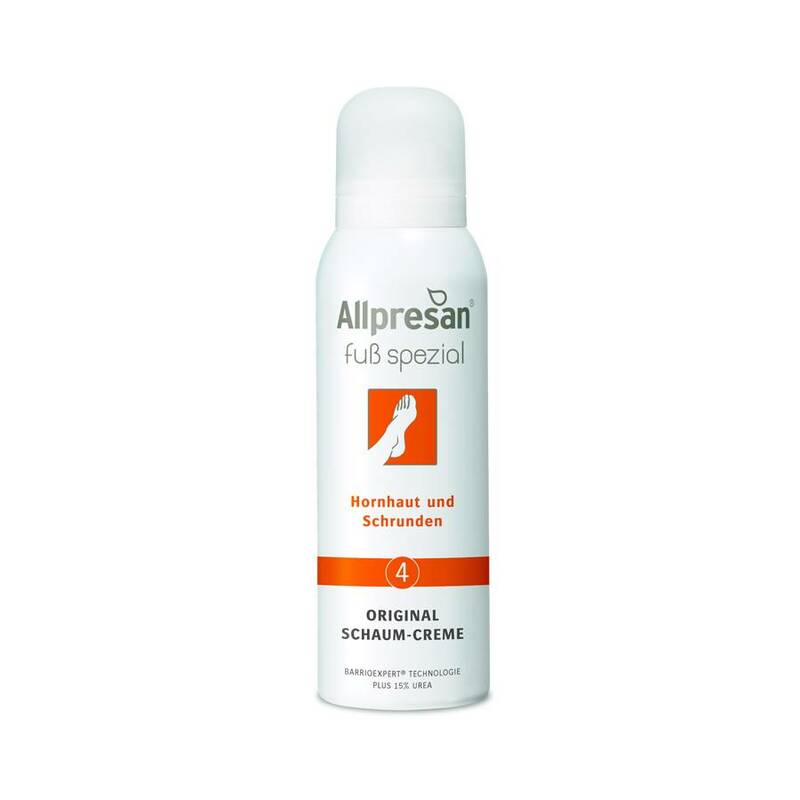 The Allpresan Foam Creme for cornea and lesion reduces cornification and fissures in a natural way. It regenerates the skin barrier and prevents cornification. Application: Apply a small amount on clean feet 1-2 times daily.